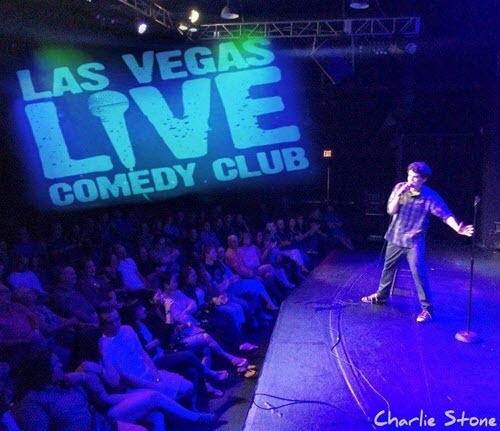 Charlie Stone is one of the hottest rising comedians in Las Vegas. After beginning his comedy career in his native Chicago, Charlie moved to Sin City, where he now performs nightly at comedy clubs on the world famous "Las Vegas Strip". When he is not in Las Vegas he can most likely be seen performing at comedy clubs across North America. Stone, has been described as a "terrific talent" by the Chicago Sun-Times, and has made appearances on CNN Headline News and the Weather Channel. Charlie brings an observational and self-deprecating style of comedy to the stage where he talks about everything from dating and sports to the day-to-day challenges everyone faces in life. Some have described him as "pretty smart for an idiot" due to his ability to find dumb solutions to complex problems in the world. Visit his Facebook Page or send him an email to find out where he is performing today. He is much better at being entertaining than he is at posting his shows.